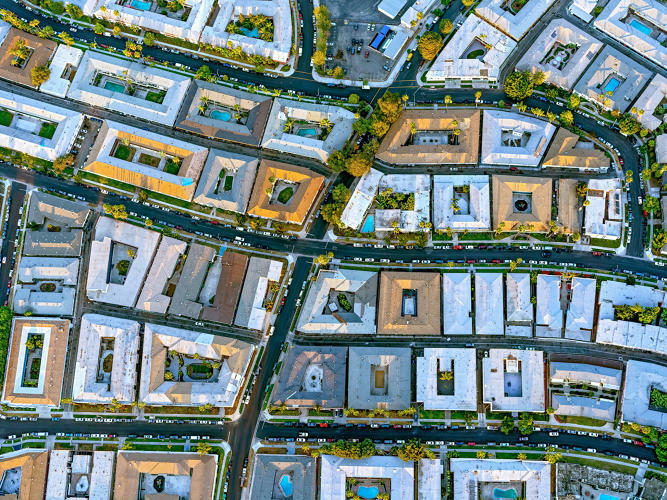 jeffrey milstein’s aerial photos of LA reveal differences across neighborhoods – Ms.M.L.S.K.A. 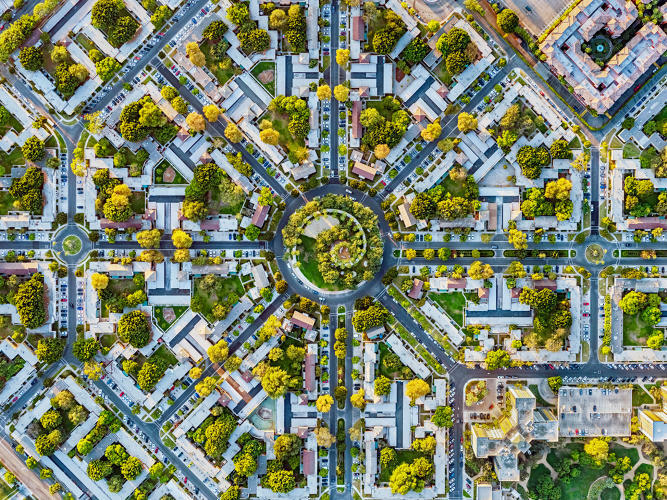 jeffery milstein is 71 years old and hanging out of a helicopter to frame up these aerial photos of LA neighborhoods. 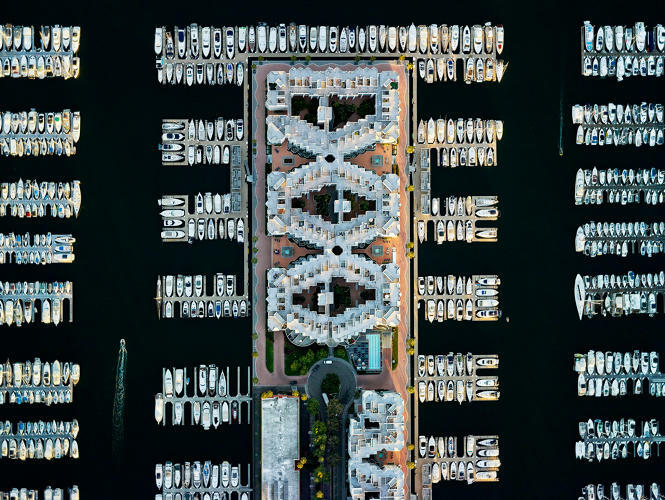 similarly to how his aerials of boats, cruiseships and other watercraft paint a picture of diversity with their details… these neighborhood photos highlight housing trends across the socio economic strata. If you’re in a more working-class neighborhood, it’s more brown because there’s less trees. 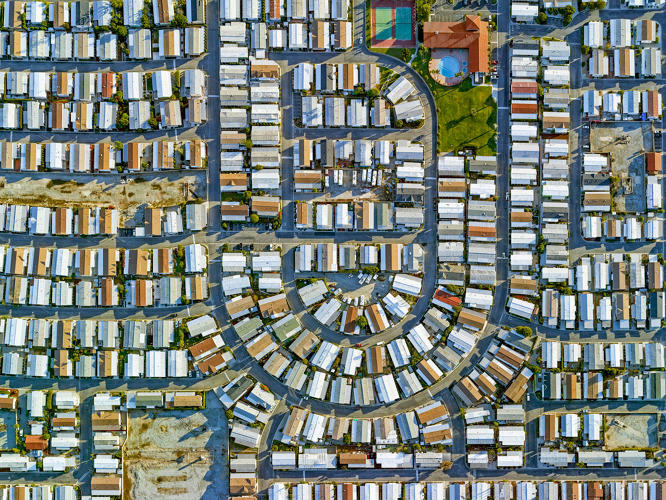 The houses are more tightly packed, and the streets are on a straight grid. As you get into the more affluent areas the streets go off the grid and they start having curves. The whole neighborhood becomes more green, even blue as they start all having swimming pools.